Through grant funding received in 2016, Oakland Animal Services created a sustainable, wider-reaching foster program. 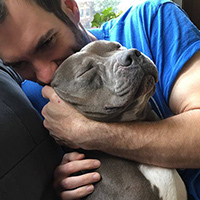 Foster programs save lives, alleviate shelter stress and provide a chance for the many animals who simply don’t display their most endearing sides in a shelter environment. Fostering also bonds the shelter with the community it serves; providing an additional tool in education about animal overpopulation, the beauty of shelter animals and the values of adopting. Fostering is a great way to help a shelter animal on a temporary basis. The animal benefits greatly from the relative quiet, stability and just plain fun of home life. Being a foster parent instills a huge sense of accomplishment because you provide the care to prepare the pets for adoption! Jiffy is a sweet senior dog who was placed in a foster home due to his age and arthritis. An adopter saw his online profile, met with Jiffy, fell in love, and adopted him! Our dog foster program focuses on dogs who are most in need, therefore not all dogs at our shelter are eligible for foster. We provide initial supplies, medical services, guidance and support; fosters provide love, attention, a safe environment and ongoing supplies. 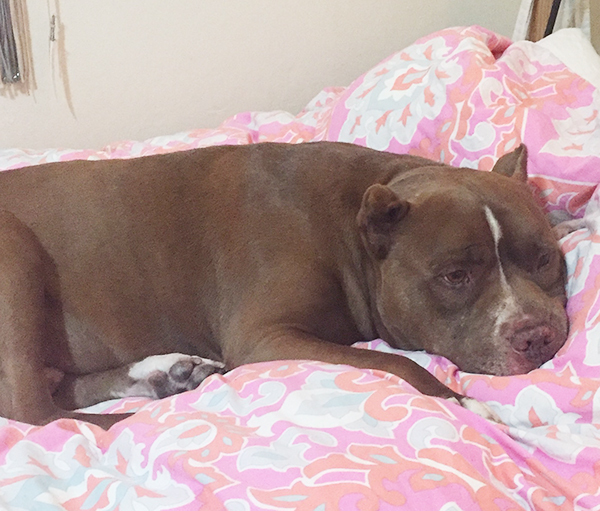 Most dogs in foster homes remain available for adoption, so fosters are required to make their foster dog available for adoption visits by appointment at the shelter, and at scheduled local adoption events. Some dogs are in foster because they are recovering from a medical condition or working on behavioral improvements. In such cases the dog may not be available for adoption yet. Please realize that dogs will take a few days to acclimatize to their new environment (your home), and a few weeks/months to really feel comfortable and show their true character. When you take your foster dog home, make sure you set aside a significant amount of time, especially in the first few days, to help the dog settle in. 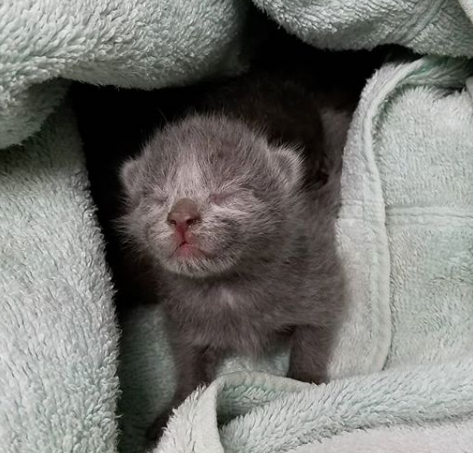 Our kitten foster program focuses on underage kittens, including mother cats with underage kittens. Kittens remain in foster homes until they weigh 1 kg (2.2 lb), at which time the foster returns them to the shelter where they are made available for adoption. The amount of time that kittens are in your care varies from two to nine weeks, depending on how young the kittens are when you start fostering them. Kittens must be kept separate from your resident pets – using a spare bedroom or bathroom for your foster kittens is ideal. We provide initial food and litter, and can loan you a kitchen scale (to weigh your kittens) and warming disc/heat pad. We also provide medical services to your foster kittens. You must be able to transport your kittens (at your expense) to the shelter every 2-3 weeks for vaccinations, and more frequently if your foster kitten falls ill. If your kitten needs medication, you may be required to administer oral medications or eye ointments. Cat Town provides supplies, medical services, and guidance and support; fosters provide love, attention and a safe environment. When the fostered cats are ready, they become available for adoption directly through Cat Town. 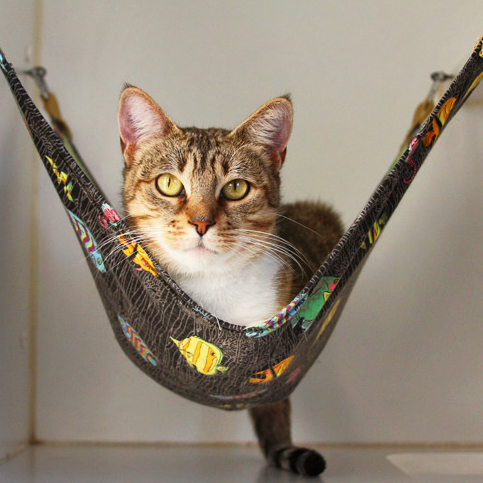 Cat Town is always seeking foster homes for adult cats. Visit Cat Town’s website for more information on how to foster.